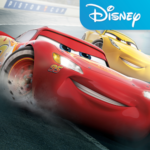 This weekend, families all over the world will be heading to theaters to see Cars 3, the latest installment in Lightning McQueen’s adventures. But one of the themes that will stay with them is that of what it means to inspire others. As Lightning McQueen looks back on his mentor Doc Hudson, he also finds himself filling the same shoes for the young Cruz Ramirez. With that, comes a heartfelt children’s book called Cars 3: Leading the Way. Illustrated by Pixar artist Garrett Taylor, who leant his talents to latest Cars outing, we get to revisit Radiator Springs and some of the film’s new locations. 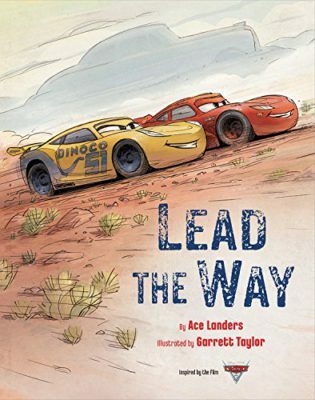 The pages are peppered with Lightning McQueen’s lessons of encouragement, thanks to writer Ace Landers. What’s sweet about the story is that it’s a mix of lessons he learned from Doc and some that he learned himself, all of which are being passed on to kids having the story read to them. 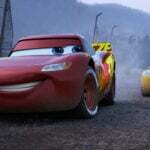 Young fans of Lightning McQueen are sure to wish they had him as a mentor. 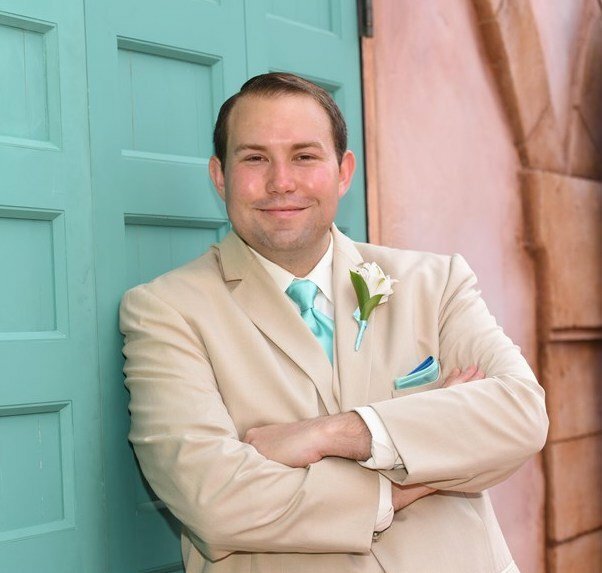 While he will always be a role model to generations of kids, you can help his words reach them anytime they need some encouragement by giving them this book. Because of its themes, it makes for a perfect Kindergarten or elementary school graduation gift, albeit a little belated. While reading Cars 3: Lead the Way, I was reminded of a book from last year’s Pixar film, Finding Dory, which served a similar purpose. I likened Three Little Words to Dr. Seuss’ Oh, the Places You’ll Go and while this one may not be quite as poignant, it’s still a charming source of inspiration. 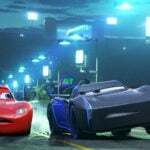 If you and your kids walked away from Cars 3 completely enchanted my the mentor-mentee relationship, then your next steps should a trip to the book isle to pick up your copy of Cars 3: Lead the Way.